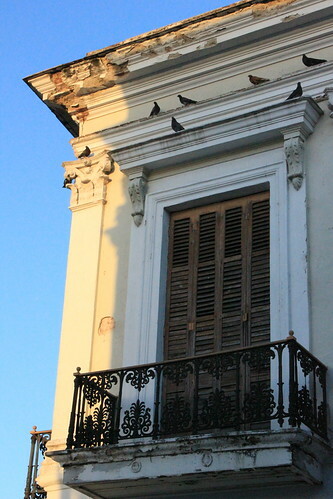 Named for the grandson of Puerto Rico’s first governor, the southern city of Ponce is blessed with appropriately distinguished architecture. The equal of few in the Americas, it is a delightful surprise for the visitor. That conquering Americans were responsible for the preservation of the city’s historic district is equally surprising. Prior to defeat in the Spanish-American war, Ponce’s status as an important industrial city in the Spanish Americas was secure. 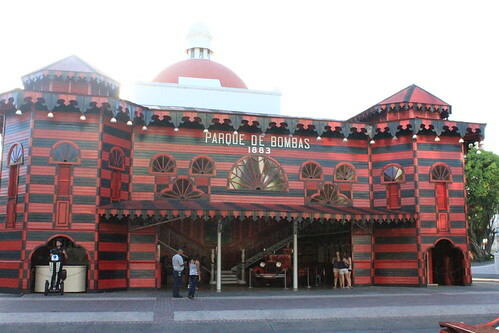 Built on sugar, coffee, rum and banking, and populated by a rash of European immigration, the Victorian era saw the city’s burghers erect their ostentatious modernist-influenced palaces that now adorn Ponce’s plazas and boulevards like so many gingerbread mansions. 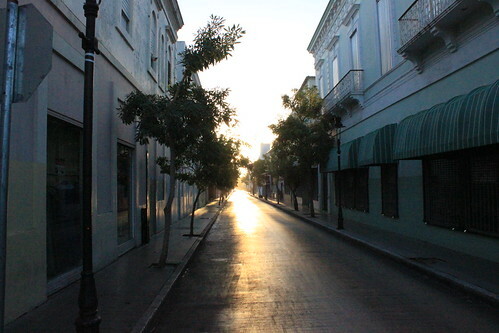 However, following the American conquest of the island, trade and investment was diverted through San Juan, while Ponce slowly diminished into the comparative poverty of a regional backwater. Happily, this allowed the city to avoid much of the ugly concrete blight of the island’s capital, retaining its charming air of former opulence. 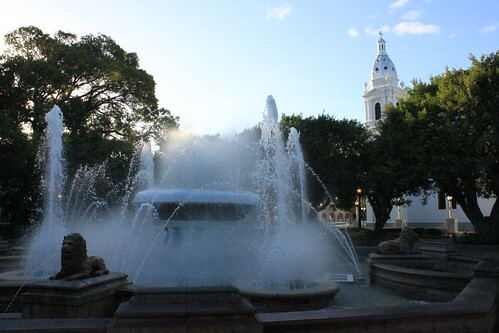 If the dining scene is more limited than in the heavily touristed parts of Puerto Rico, plenty of good food is still to be found in Ponce, and it feel distinctly more authentic because of the restaurateur’s imperative to cater to the palettes and wallets of the locals. 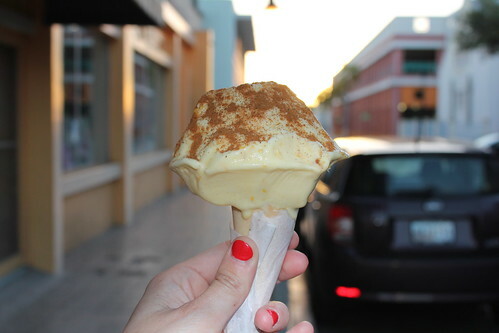 From the delicious helados at King Ice Cream (go for the maiz/yellow corn topped with powdered cinnamon) to the traditional homemade dishes synonymous with La Casa de las Tias to the variety of frituras available at the myriad snack bars lining La Plaza del Mercado, there is as much to delight the taste buds as there is for those with an appetite for culture. One such dish we had not come across previously is mamposteao. 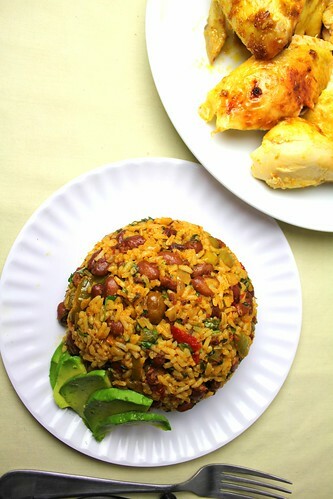 A rice and bean side, similar to, but distinct from, arroz con gandules, we took advantage of mamposteao’s presence on several Ponceno menus to conduct some research into this exciting concoction. At El Rincon Argentino – exactly the kind of fusion restaurant we can get behind with its combination of Argentine focus on beef and the Puerto Rican passion for the fantastic starches – we ate a great pile of it to accompany an even larger skirt steak while cool breezes off the Caribbean Sea gently ruffled our hair. Then on the next two consecutive days we enjoyed it as a side dish to what may be the world’s finest spit-roasted suckling pig in the mountain town of Guavate, and again with some frankly amazing rotisserie chicken and longaniza sausage at Viktor Pollo, El Maestro del Pollo Asado, a giant trailer off the main highway near the coastal town of Santa Isabel just east of Ponce. Each time it was very slightly different. Bright yellow rice and pink beans were constants, but with varying ratios of onions, peppers, garlic, tomatoes, and, in some cases, ham and chorizo. Even the spelling of it was inconsistent, gaining or dropping a penultimate “d” from place to place. What makes mamposteao/mamposteado unique is the cooking technique of being an assembly of ingredients combined shortly before service into a delicious, nuanced result. The temptation is to recommend the version with the most ingredients, but, in some respects, the watchword for success with this dish is not unlike what has kept Ponce so untarnished: leave well enough alone and let it become somehow greater than the sum of its parts. Cook rice until nicely done. Drain. Reserve rice. In a large saucepan, over medium heat, saute the sausage in olive oil, cook until fat is rendered. Remove sausage to a plate. Add annatto seeds to oil, allow oil to take color from seeds for up to three minutes. Do not allow seeds to burn. Drain seeds, return oil to pan. Add onions and pepper to pan, saute until soft. 4-5 minutes. Add garlic, stir well. Cook for a minute or two. Return chorizo/sausage to mixture, add alcapparado. Check seasoning, correct if necessary. Add cooked rice to mixture. Stir really well to combine everything together. Rice should end up being bright yellow. Mixture should be moist but not wet. Serve as an accompaniment to roast chicken, roast pork, grilled pork chops or steaks. 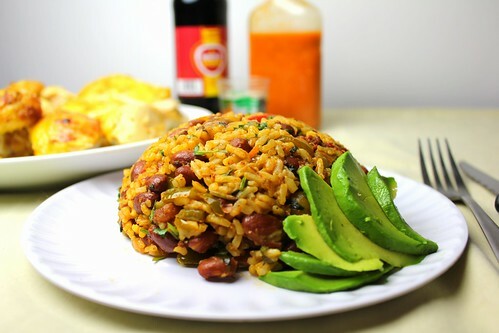 I think Puerto Rican is one of those cuisines waiting to burst out and this dish underlines this need. Looks delish, WANT! You know I love this post – and I’m so happy you got to Guavate. Isn’t it a hoot? I think the difference in spelling is the one without the ‘d’ is the name (noun) and the other is used as a descriptive meaning rice cooked in this manner. (??) It’s also called Apastelao. P.S. I remember the firehouse from the time I visited Ponce many moons ago. @Joan: Guavate is awesome. Interesting point you make about the ‘d’. I hadn’t thought of that. I’d been putting it down to the Puerto Rican accent and the habit of swallowing the ‘d’. Ponce really is stunning. It’s worth another visit if you get the chance, not that it will have changed much! @Peter: you’re damn right. We’ve been banging on about Puerto Rican food since we started this blog and it still doesn’t get the respect it deserves. For us, it’s right up there with Mexican food as among the best cuisines of the New World. This sounds like the regular Puerto rican rice and beans dish but deconstructed and the brought back together at the end, will have to try some time. @Jackie: I guess it depends on what you typically put in your rice and your beans, but you’re probably right. @Ruth: most of the items on the list should be fairly easy to find in the UK. Long grain rice, red kidney beans would be a fine substitute, green pepper in place of the ajicitos dulces, and alcaparrado is just an olive, pimento and caper salad in brine. I don’t remember ever seeing annatto seeds anywhere but if you have a spice merchant/tea purveyor nearby, that might be a good place to try.